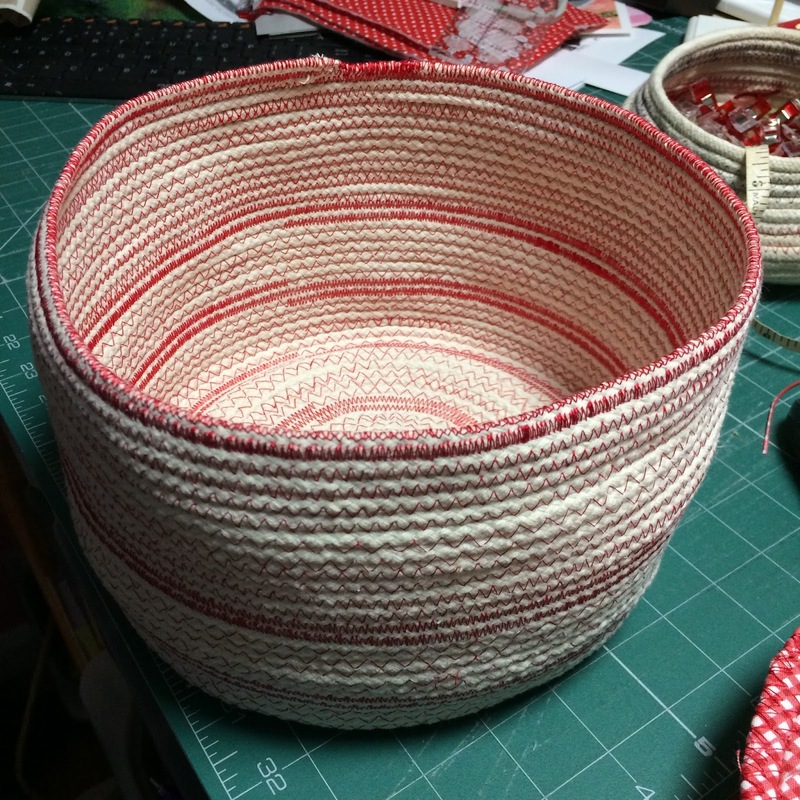 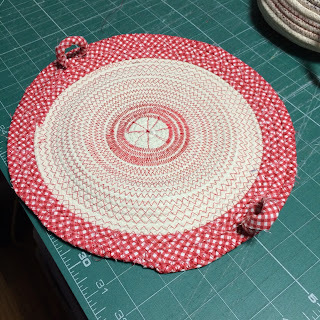 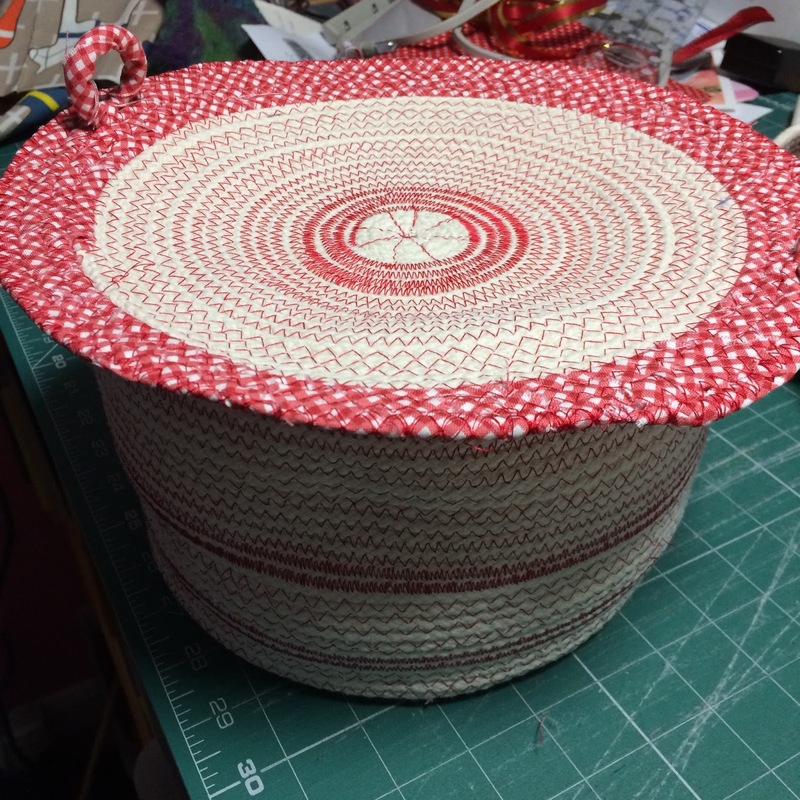 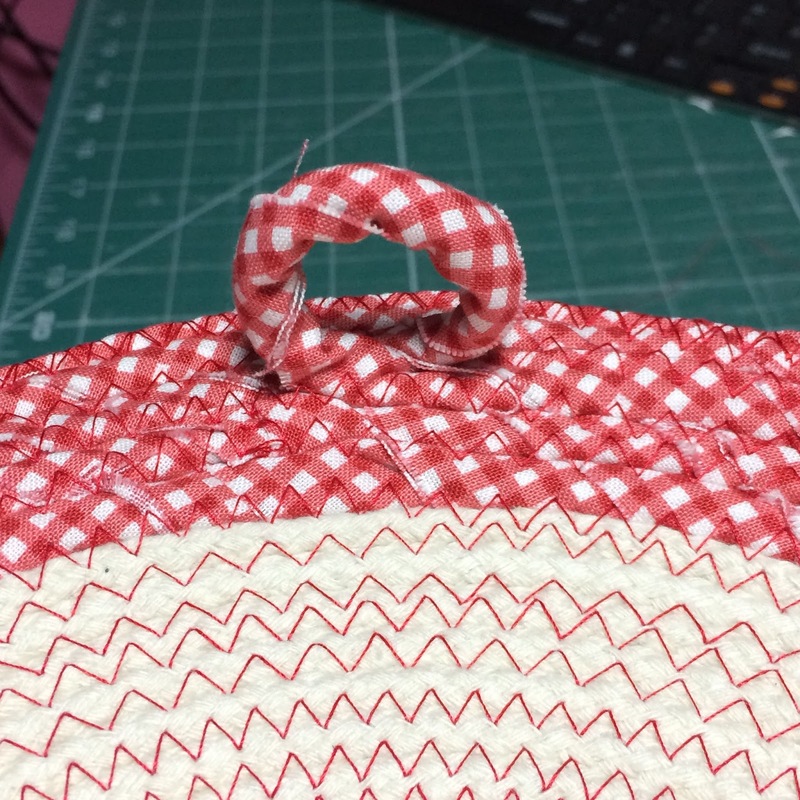 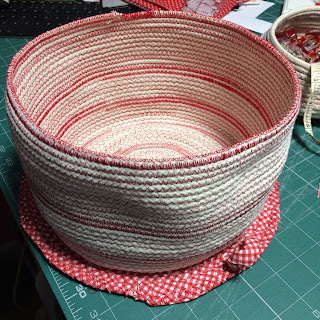 There was some rope left, and I made another disc, and then finished off with fabric wrapping which I hadn't tried - and also added two "handles"
The bowl is lovely Benta. Incredible what a difference it can make when we all get the right materials to work with! Wow,it`s just beautiful and love it with handle! you have certainly got the hang of making these, ideal for warm bread rolls or even cold ones!